This is a shield shaped Berryloid Service Station porcelain sign. This particular Berryloid Service Station sign is predominantly black with yellow and white text and a red border. 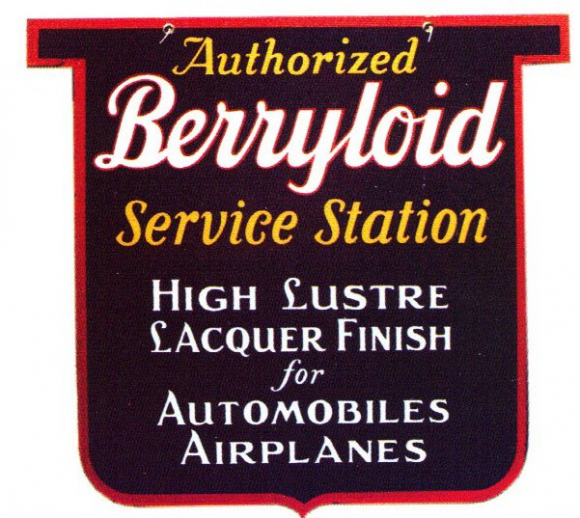 It reads, “Authorized Berryloid Service Station, High Lustre Lacquer Finish for Automobiles, Airplanes” and has no other design.